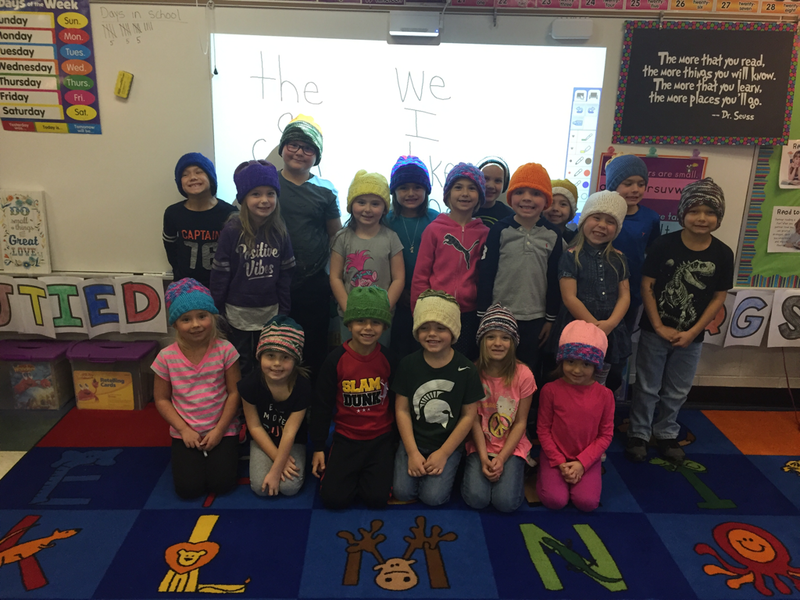 Showing off our new hats! Thank you for visiting our classroom web page. Please be sure to check out all of the tabs to find out what is happening in our classroom. Feel free to contact me with any questions or concerns you have. In kindergarten we are always busy! Please encourage a conversation with your child each night to find out something they did in school today. Some possible questions to ask are, "what new sounds did you learn today? What did you work on in math? What kind of writing did you do today? Did you do science or social studies? Did you stay on green or blue today?" These are all questions they should be able to respond to.